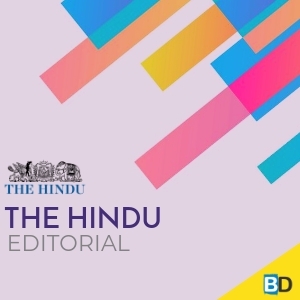 THE HINDU EDITORIAL – July 25, 2018 is one of the must read for the competitive exams like SBI PO Mains , SBI CLERK Mains Exam, BOB PO Manipal Online Exam. These topics are widely expected to be asked in the reading comprehension , Cloze Test or in Error Detection topics in the forthcoming exams. So gear up your Exam preparation and learn new words daily. Indian banks trying to sell their troubled assets now have one less hurdle to cross. A group of banks, including public sector, private sector and foreign banks, signed an inter-creditor agreement on Monday to push for the speedy resolution of non-performing loans on their balance sheets. According to the agreement, a majority representing two-thirds of the loans within a consortium of lenders should now be sufficient to override any objection to the resolution process coming from dissenting lenders. Minority lenders who suspect they are being short-changed by other lenders can now either sell their assets at a discount to a willing buyer or buy out loans from other lenders at a premium. 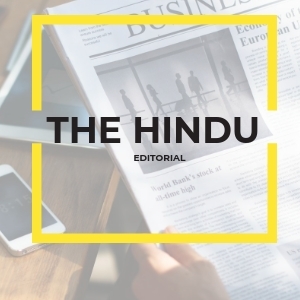 The inter-creditor agreement is aimed at the resolution of loan accounts with a size of ₹50 crore and above that are under the control of a group of lenders. It is part of the “Sashakt” plan approved by the government to address the problem of resolving bad loans. 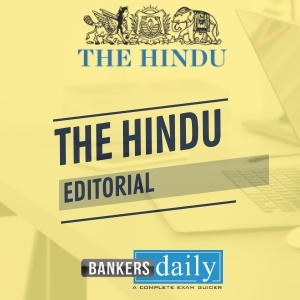 Over the last few years, Indian banks have been forced by the Reserve Bank of India to recognise troubled assets on their books, but their resolution has remained a challenge. According to banker Sunil Mehta, who headed a panel that recommended the plan, disagreement between joint lenders is the biggest problem in resolving stressed assets. The government hopes that the holdout problem, where the objections of a few lenders prevent a settlement between the majority lenders, will be solved through the inter-creditor agreement. Such an agreement may persuade banks to embark more quickly on a resolution plan for stressed assets. This is an improvement on the earlier model, which relied solely on the joint lenders’ forum to arrive at a consensus among creditors. It is, in fact, logical for joint lenders who want to avoid a deadlock to agree on the ground rules of debt resolution prior to lending to any borrower. But the obligation on the lead lender to come up with a time-bound resolution plan can have unintended consequences. Banks may be compelled to engage in a quick-fire sale of stressed assets due to arbitrary deadlines on the resolution process. This will work against the interests of lenders looking to get the best price for their stressed assets. Also, it is often in the interest of the majority of creditors to take the time to extract the most out of their assets. Meanwhile, the biggest obstacle to bad loan resolution is the absence of buyers who can purchase stressed assets from banks, and the unwillingness of banks to sell their loans at a deep discount to their face value. Unless the government can solve this problem, the bad loan problem is likely to remain unresolved for some time to come. Mesut Özil’s withdrawal from the German football team on Sunday came as a shock to many. One of the most gifted midfielders of his generation, Özil has been a mainstay of the Die Mannschaft — as the national squad is called — for almost a decade, as his 23 goals and 40 assists from 92 appearances attest. But when he released an explosive statement, with a declaration that he could no longer wear the German shirt with “pride and excitement” because of “racism and disrespect”, it caused many a football fan to shudder. The turn of events has its roots in Özil and fellow footballer İlkay Gündoğan meeting Turkish President Recep Erdoğan in London and presenting him with shirts just before the World Cup. Both Özil and Gündoğan are Germany-born players of Turkish origin and their act was perceived as an endorsement of the Turkish leader, who is widely derided for leading his country down the path of autocracy with rampant human rights violations. Germany’s surprise first-round exit from the 2018 World Cup in Russia produced a convenient brickbat to target Özil with, and it was compounded by the vitriol directed at him. From DFB (German Football Association) president Reinhard Grindel to the legendary skipper Lothar Matthäus to sections of the media, the Arsenal playmaker spared no one as he alleged they had “disrespected his Turkish roots” and “selfishly turned [him] into political propaganda.” The episode has unravelled at a time when Germany is at a crossroads — over whether to move forward and forge a more cosmopolitan, open society or retreat into its nationalistic past. Özil, apart from his immigrant background, is a practising Muslim, and when Germany won the 2014 World Cup he was the poster boy of the DFB’s efforts to make football inclusive. That one international failure — which could be explained purely in footballing terms — can lead to such a vile debate clearly indicates the fault lines. “I am German when we win, but an immigrant when we lose,” lamented the 29-year-old. To have his loyalty questioned even after he gave up his Turkish passport in order to play for Germany must have been distressing. However, Özil has unwittingly walked into an unnecessary controversy over a sensitive issue. Meeting President Erdoğan may have been “about respecting the highest office of his family’s country”, but he should have been mindful of the fact that Germany and Turkey shared a tenuous relationship, with the Turkish President having accused Angela Merkel’s government of being stuck in Germany’s Nazi past. And when a minister in the Turkish Cabinet termed Özil’s move to quit as the “most beautiful goal against the virus of fascism”, it hit Germany where it hurt the most. When Özil said he had “two hearts, one German, one Turkish,” he was attempting a delicate balancing act, favouring integration — a cherished modern-day value — over assimilation. Little did he expect that it would be so rough a ride. Meaning: Use one’s authority to reject or cancel (a decision, view, etc.). Meaning: To buy a part of a company or building from someone else so that you own all of it. Example: Allied Chemicals have been trying to buy out their competitor’s share in the target company. Meaning: Identify from knowledge of appearance or character.Acknowledge the existence, validity, or legality of. Meaning: An act of resisting something or refusing to accept what is offered. Meaning: (of a situation or event) provide a sound reason for (someone) to do something. Meaning: Not involving anyone or anything else; only. Meaning: The condition of being morally or legally bound to do something. Meaning: Produce (something), especially when pressured or challenged. Meaning: Not planned or meant. Meaning: Force or oblige (someone) to do something. Meaning: Someone or something on which something else is based or relies. Meaning: Witness or certify formally. Meaning: Likely to cause an outburst of anger or controversy. Meaning: Prejudice, discrimination, or antagonism directed against someone of a different race based on the belief that one’s own race is superior. Meaning: To shake suddenly and briefly, esp. because of an unpleasant thought or feeling. Example: I shuddered, remembering the frightening stories I had heard. Meaning: Become aware or conscious of (something); come to realize or understand. Meaning: The action of endorsing someone or something. Meaning: Express contempt for; ridicule. Meaning: A system of government by one person with absolute power. Meaning: A critical remark or comment. Meaning: Bitter criticism or malice. Meaning: Someone who has experience of many different parts of the world. Example: Lisa is a real cosmopolitan. Meaning: Express regret or disappointment about something. Meaning: Without being aware; unintentionally. Meaning: A political system based on a very powerful leader, state control, and being extremely proud of country and race, and in which political opposition is not allowed. Example: This year’s history syllabus covers the rise of Fascism in Europe. Meaning: Very fine in texture or structure; of intricate workmanship or quality. Meaning: The process of taking in and fully understanding information or ideas.